** Unless otherwise noted, the shiur is for MEN. Every morning following davening — Dvar Halacha by Rabbi Goldberger and Rabbi Yehuda Leib Goldberger. With fresh hot coffee! 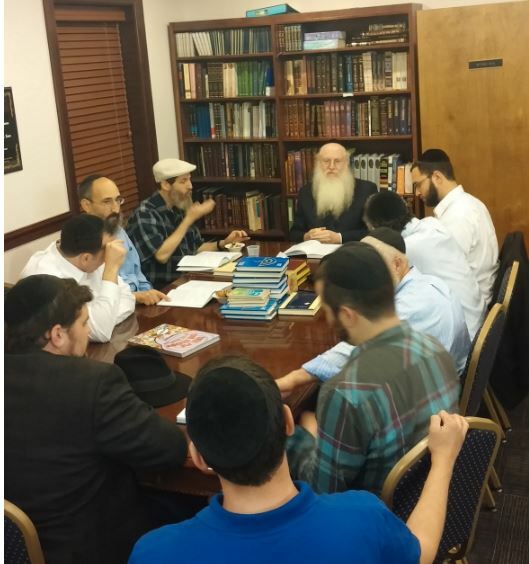 9:15-10:00 am: Men’s Gemara, Maseches Taanis shiur given by Rabbi Goldberger following Shacharis. Rashi, selected Tosfos and Maharshas. 10-10:45 am: Women's Tehillim gathering for cholim (Nancy Taffel Annex). After Maariv: Parsha Preview, insights on the parsha, given by a rotating group of Rabbis. With hot potato kugel! After Torah Reading on Shabbos morning: For boys ages 8 to 12: Parsha, Biur Tefillah and Hilchos Shabbos. In the upstairs Bais Medrash. An interactive program to enhance the boys' Shabbos and shul experience.